BioWare™, a division of Electronic Arts, and Dark Horse Comics announced today Mass Effect™: Invasion, a four issue comic series detailing the events following Commander Shepard’s epic journey in the critically acclaimed Action Role Playing Game Mass Effect™ 2. 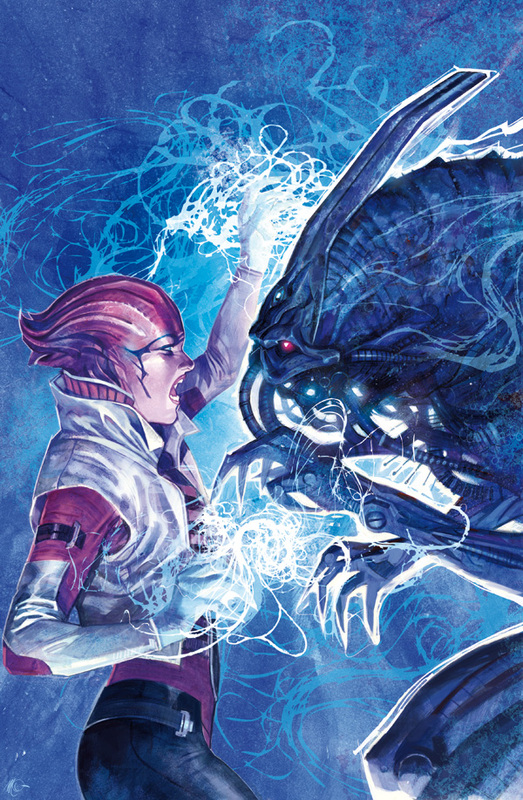 Starting today only fans can visit the Dark Horse Digital Store to download previous issues of the Mass Effect™ comic book series and will also get an exclusive first look at Mass Effect™: Invasion. With a story by Mass Effect lead writer Mac Walters and an original script by John Jackson Miller, best known for his work on Star Wars: Knight Errant, and art from Omar Francia who also did work on Star Wars: The Force Unleashed 2, Mass Effect: Invasion focuses on Aria T’Loak, a self-appointed queen of Omega, a space station catering to the galaxy’s underworld. T’Loak is a key figure in the Mass Effect universe and must defend her territory from a terrifying new threat unleashed by the pro-human black-ops organization Cerberus. 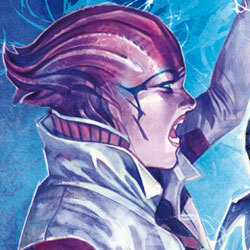 Mass Effect: Invasion will launch its first issue this October. For more information on Mass Effect, please visit http://masseffect.com, follow the development team on Twitter at http://twitter.com/masseffect or “Like” the game’s Facebook page at http://facebook.com/masseffect. Since 1986, Dark Horse Comics has proven to be a solid example of how integrity and innovation can help broaden a unique storytelling medium and establish a small, homegrown company as an industry giant. The company is known for the progressive and creator-friendly atmosphere it provides for writers and artists. In addition to publishing comics from top talent like Frank Miller, Mike Mignola, Neil Gaiman, Gerard Way, and comics legend Will Eisner, Dark Horse has developed such successful series as The Mask, Timecop, and SpyBoy. Additionally, its highly successful line of comics and products based on popular properties includes Star Wars, Indiana Jones, Buffy the Vampire Slayer, Aliens, Conan, Emily the Strange, Tim Burton, Trigun, Serenity, and Domo. Today Dark Horse Comics is the largest independent comic-book publisher in the US and is recognized as one of the world’s leading publishers of licensed comics material. BioWare develops high quality console, PC and online role-playing games, focused on rich stories, unforgettable characters and vast worlds to discover. Since 1995, BioWare has created some of the world’s most critically acclaimed titles, including Baldur’s Gate™, Neverwinter Nights™, Star Wars®: Knights of the Old Republic™, Jade Empire™, Mass Effect™ and Dragon Age™. BioWare operates in Edmonton (Alberta, Canada), Montreal (Quebec), Austin (Texas), Fairfax (Virginia) and Galway (Ireland). Currently announced projects at BioWare include the ongoing downloadable content for Dragon Age II, Mass Effect 3 and Star Wars®: The Old RepublicTM. In 2008, BioWare was acquired by Electronic Arts, a leading global interactive entertainment publisher. For more information on BioWare, visit www.bioware.com or follow us on Twitter at www.twitter.com/biofeed. To join the millions of fans already registered on our community, go to http://social.bioware.com. Bioware, Mass Effect, Dragon Age and Jade Empire are trademarks of EA International (Studio and Publishing) Ltd. The Sims and Need for Speed are trademarks of Electronic Arts Inc. John Madden, NFL and FIFA are the property of their respective owners and used with permission. All other trademarks are the property of their respective owners.